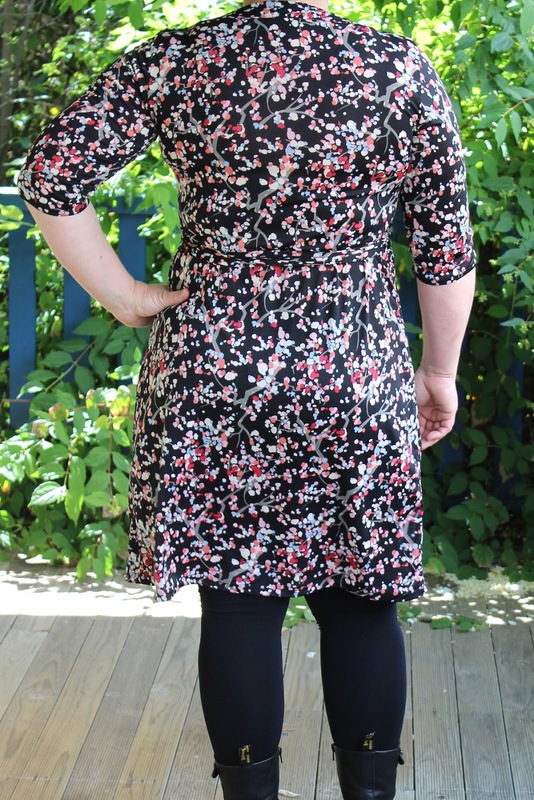 After the success of the Myrtle Dress I thought I may as well try a few more new patterns. Even though I own a number of wrap dress patterns I couldn't resist the Appleton Dress when it came out. It promises no gaping across the top so I had to try it. It lives up to that promise, it fits perfectly! I was cutting this out the other night while watching Fargo and accidentally cut the extra bit off the left side instead of the right so it wraps the wrong way, but other than that I had no problems making this dress. The instructions were clear and it went together very quickly. The only alterations I made were to lower the hole on the side, for the tie to go though, about an inch and a small full arm adjustment (which I do to all patterns). I used some jersey from Spotlight which has the perfect stretch for this pattern. I love this print so much, I found it in 2 more colour ways on the bargain table and bought some of both of them. I see a short sleeved or sleeveless version for summer being made very soon! EEK...I'd cut wrong watching Fargo too. Isn't that just the creepiest movie? Wonderful wrap and yes, terrific print on fabulous you. This is great! 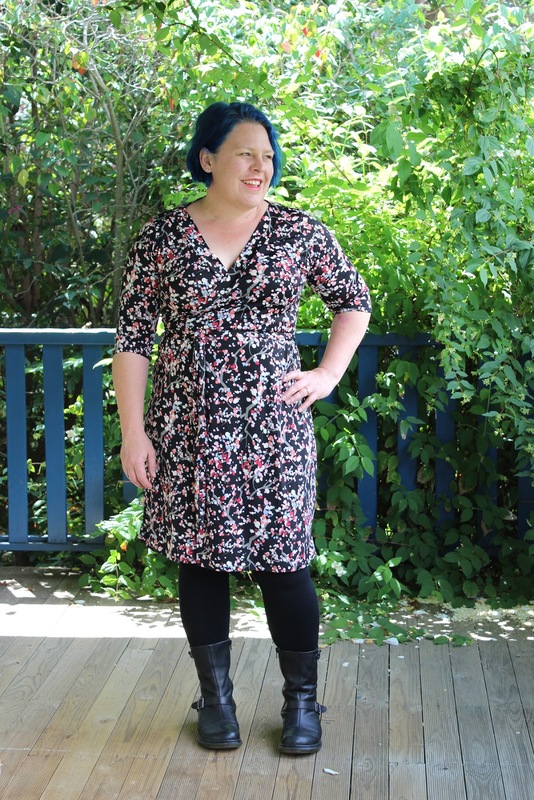 It looks beautiful on you and the fabric is beautiful! I'm glad you scooped it up in a couple of colour ways! 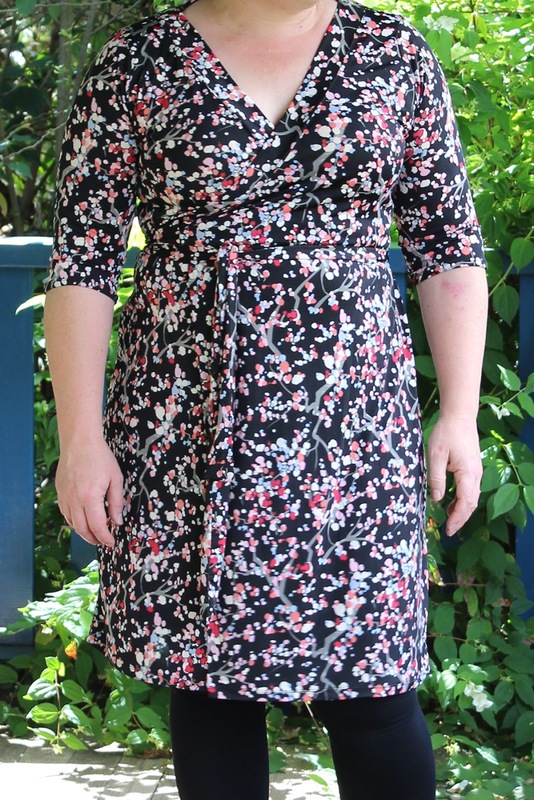 I really thought that I had enough wrap dress patterns - but clearly not, because after seeing this one on you I am IN! Now to schedule in some Appleton sewing time. It looks great.